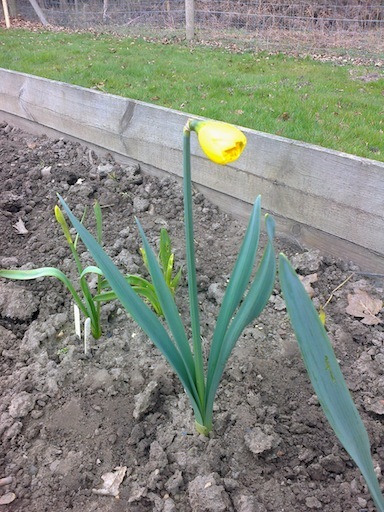 I popped by the allotment during the week to pick some more daffodils for the house – only three ready, but there are a good number still to come, so we might have more later this week or next weekend. We’ve also managed to finish off laying the edging to the bed in front of the shed, which is good news. 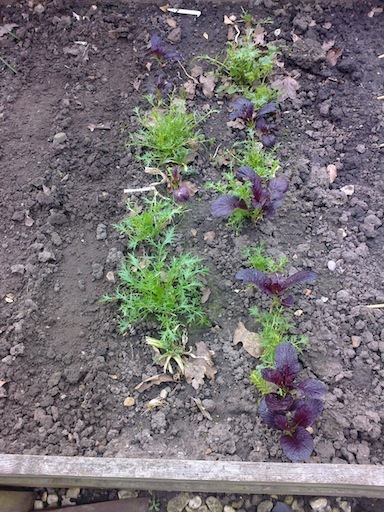 This weekend, there’s not really that much to do at the moment, but we did some weeding across the whole plot. 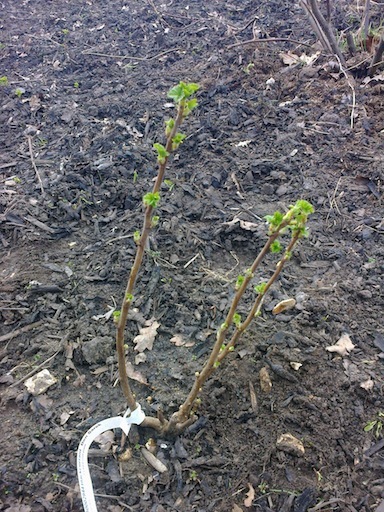 K hoed and I hand-weeded the autumn raspberries to avoid damaging the roots. 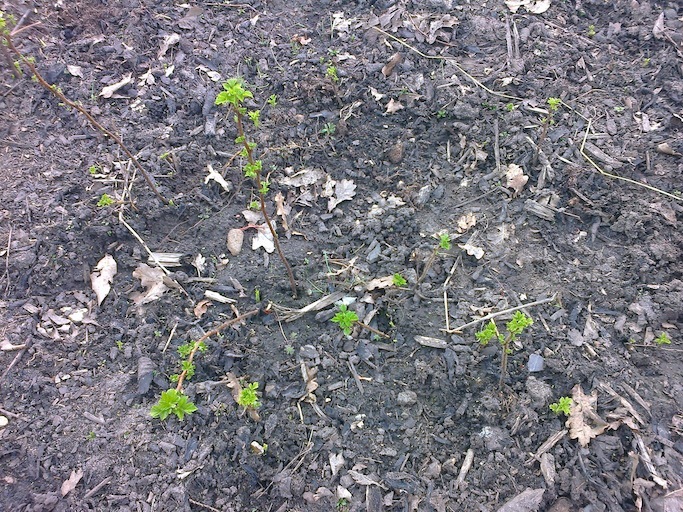 They’re coming along nicely, which is great. 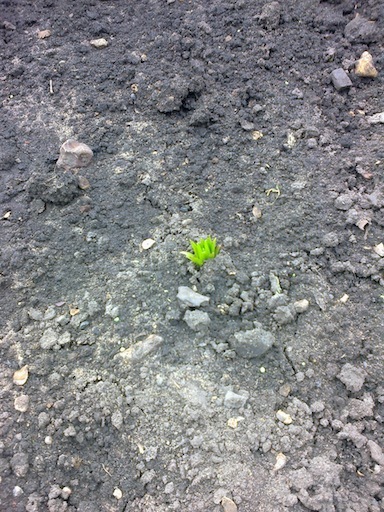 We’re also pleased with how the winter lettuce has picked up now spring is almost here (hurrah! ), so much so that I harvested some of the red leaves for the kitchen. 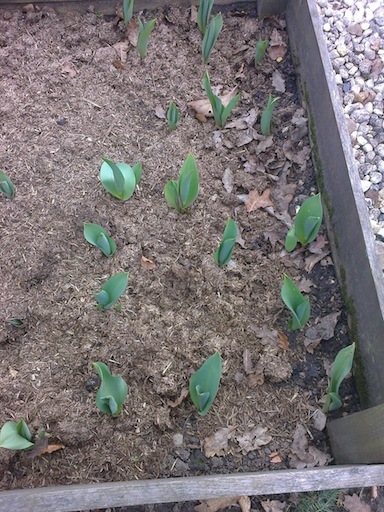 In more flower-related excitement, the tulips are doing well so far and the first of the Asiatic lilies has started to show itself. Beyond that, we’d like to put in some more beetroot at some point, and of course we’ll need to build a fruit cage, but there’s time yet. Have a great and productive weekend! Categories: Allotments | Tags: asiatic lilies, autumn raspberries, blackcurrant, daffodils, tulips, weeding, winter lettuce | Permalink.